Optician sets its sights on Selby’s New Lane development. A brand new independent family owned opticians is due to open in Selby town centre next month, taking the final vacant unit and completing the development on New Lane. The new business led by Vikki Korolkiewicz will open on Wednesday 18th April and is located in between the Escapologist Escape Rooms and Domino’s Pizza on New Lane, opposite Costa Coffee. 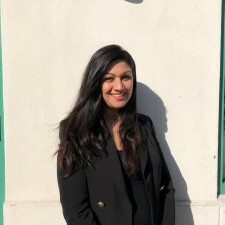 Inner Vision Opticians will look to create 7 new jobs and offer hand-picked designer and designer-inspired collections across all price ranges. The unrushed, personalised and friendly approach to eye health and well-being is at the heart of the business. The new store will celebrate its opening with a ribbon cutting on Saturday 21st April with one of the famous Yorkshire Rowers, Nikki Doeg. Vikki Korolkiewicz has been a qualified optometrist for more than 17 years, gaining vast experience in hospital settings, and in well known high street optician's practices. 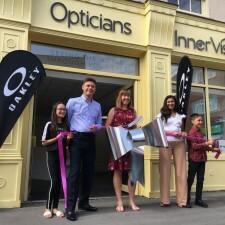 The new team at Inner Vision Opticians will have more than 38 years of combined qualified opticians' experience which includes children’s eye care and contact lenses. Vikki chose to open her new business in Selby after working in the town at an established high street chain of opticians for seven years. The experienced team will be able to provide a quality service to existing clients in what she describes as an amazing market town, with a rich history and full of potential. Vikki said: “The support from the surrounding businesses has been incredibly positive when making the decision to branch out and start my own business in the area".